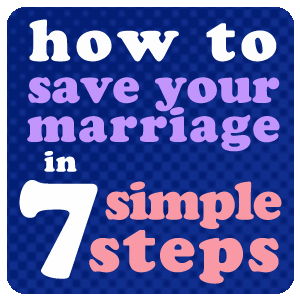 The proceeding 7 simple steps to saving your marriage are pulled directly from my book, “The Divorce Remedy.” I’ve summarized the points to help get the wheels turning in your efforts to save your marriage. This entry was posted in Uncategorized and tagged ask for what you what, divorce remedy, do something different, how to, more of the same, relationship goals, Save Your Marriage, saving your marriage. Bookmark the permalink. Buddhists believe that the celibate, monastic life is the highest path a human being can travel and contains the key to breaking out of the endless cycles of rebirth caused by attachment to both pleasure and pain.nnIf Buddhism holds the key to human happiness, then marriage is a distraction on the path to Nirvana. So, if you are married, get divorced and then get thee to a monastery.nnIt really is that simple.